Borussia Dortmund are continuing to build for the future with the signing of defender Dan-Axel Zagadou from Paris Saint-Germain. Click here to head to the Bundesliga Transfer Centre to see all the confirmed ins and outs. 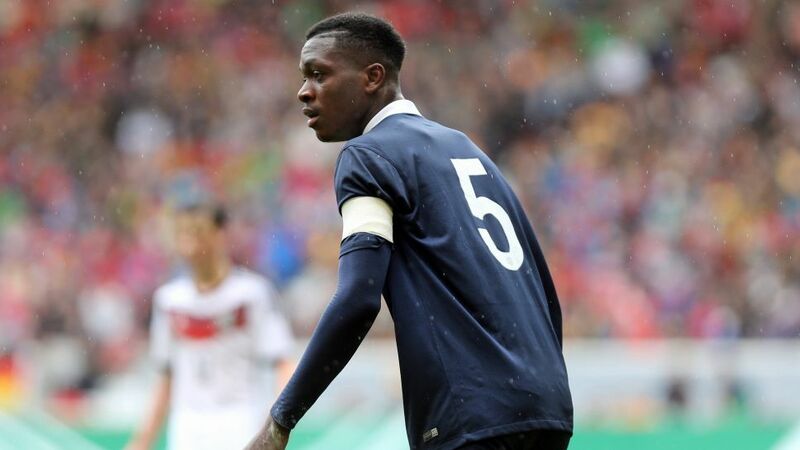 The France Under-18 captain’s contract was due to run out this summer and, despite reported interest from Manchester City, Zagadou has decided that his future lies in the Bundesliga. The left-footed centre back, who stands over 6 feet tall, played for PSG’s second team last season. "From July, Dan-Axel Zagadou will become a full fledged member of the first team," said Dortmund sporting director Michael Zorc. "We've no doubt he has the quality, and look forward to helping him take his next steps as a Dortmund professional." Zagadou, who turned 18 on 3 June, becomes BVB’s third summer signing following the arrivals of central defender Ömer Toprak from Bayer Leverkusen and midfielder Mahmoud Dahoud from Borussia Mönchengladbach. "I consciously chose Dortmund because this big club always succeed in integrating young players into the first team and developing them at the highest level," explained Zagadou. "I can't wait to play with my new teammates, experience the imposing stadium and the famous fans, and I really want to establish myself as a professional footballer in Dortmund." Dortmund’s capture of Zagadou makes him the third player they have signed from Ligue 1 within the last 12 months. Exciting attacker Ousmane Dembele and Portugal international Raphael Guerreiro both enjoyed productive first seasons with the Black-Yellows since crossing the border from France. Zagadou’s transfer also continues a trend of German clubs snapping up the best of upcoming French talent. Two years ago Kingsley Coman joined Bayern Munich via PSG and Juventus, while last summer Gladbach signed Mamadou Doucoure, another graduate of PSG’s academy. Last month the Foals brought in 17-year-old French midfielder Mickaël Cuisance from Nancy.